submitted by Tout Mon Amour! A Robin Hood Party?! How brilliant! Why haven't I ever thought of that theme? 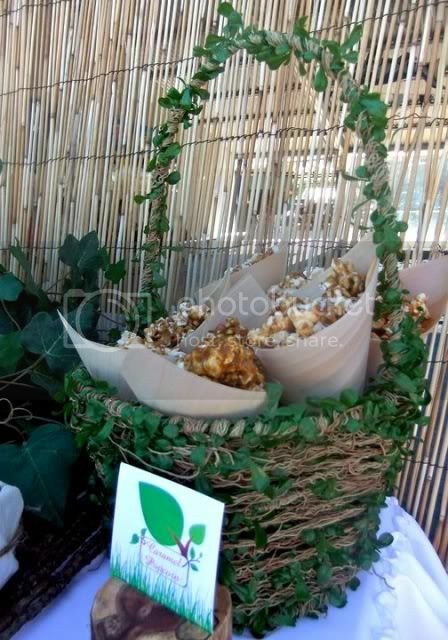 Baskets, nests & garland from Save On Crafts. Timber cake pedestal and mini logs by Bro Cattley. 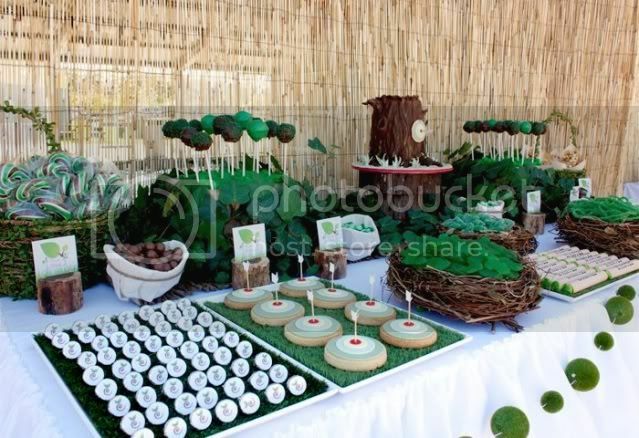 cake pops, and other candy by Tout Mon Amour. 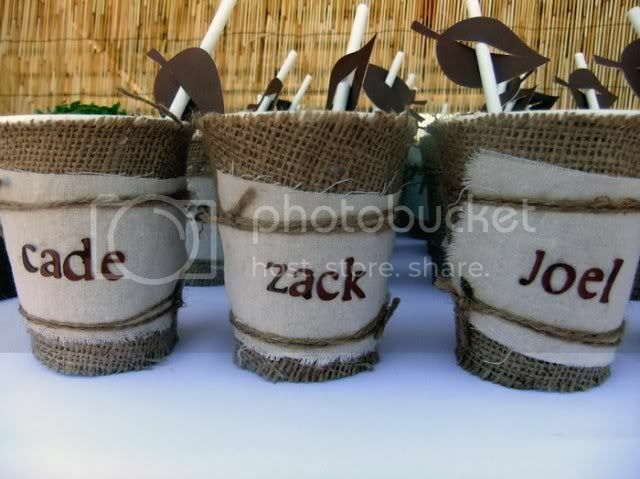 I heart these cups! 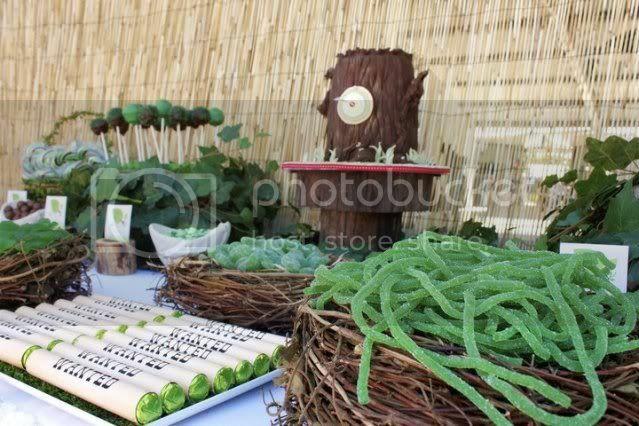 Look at those cute leaves on the straws! 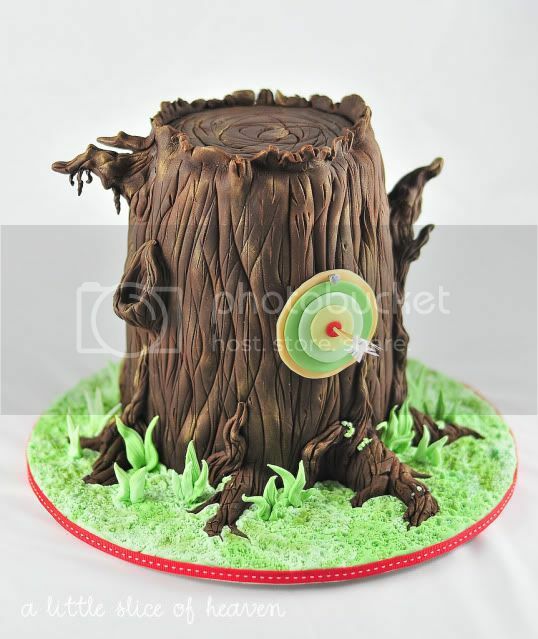 Amazing tree stump cake made by A Little Slice Of Heaven. 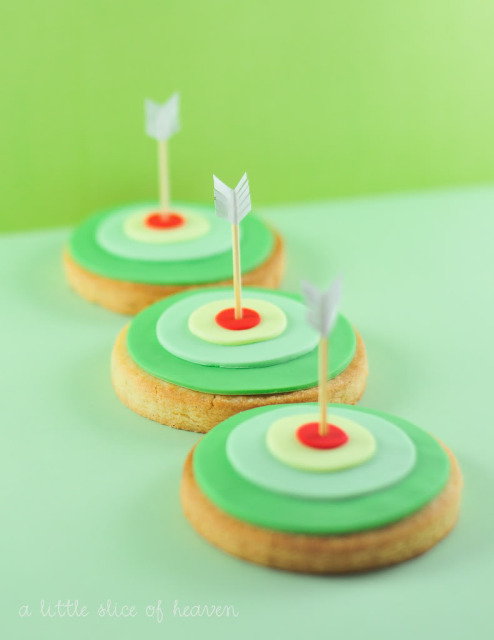 Bow and arrow cookies made by A Little Slice Of Heaven. 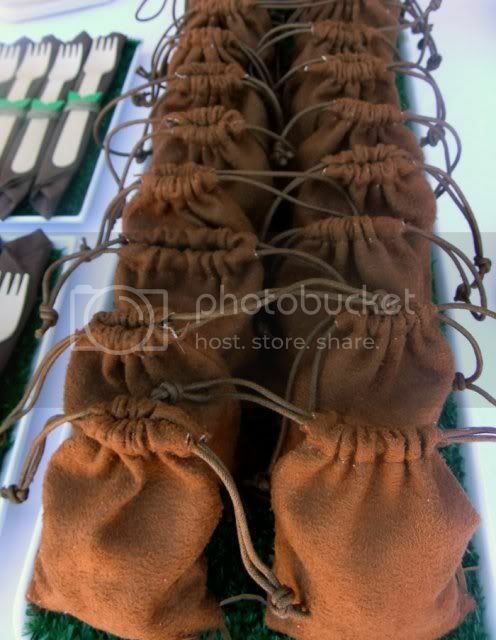 Faux suède favor bags from Paper Mart. Congrats on being today's winning party feature. So cute! Robin Hood is one of my old favorites. Sorry I haven't been around Kara, our wedding is wiping me out!!! I LOVE this party!! 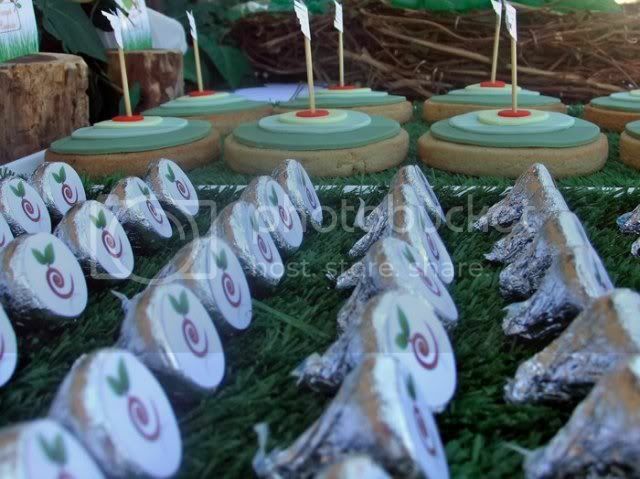 We were *thisclose* to doing a Robin Hood party for our 6 year old, but he changed his mind :( Seeing these pictures makes me wish he would've stuck with Robin Hood. Amazing details!! LoVe the theme! 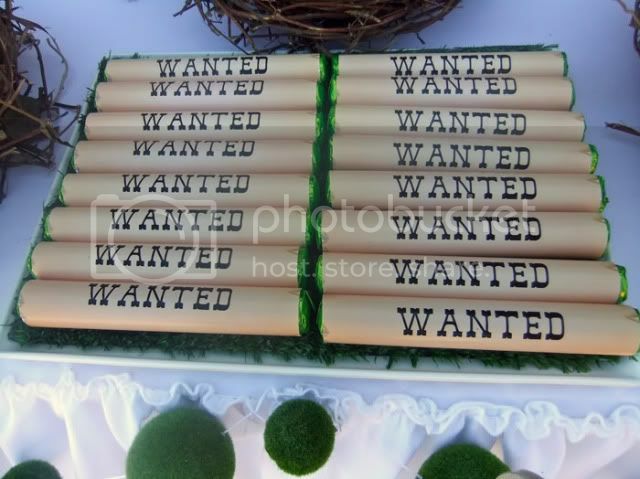 So many fun ways to carry it throughout the party! LOVE it! The Hershey Kiss idea is great too! Those cookies are adorable! Love all the details. Oh my gosh, what a fun idea. That is one of the most adorable boy parties I've seen in a long time! I love it! So many great ideas. It's so pretty ! I put forward on my French blog with a link to this article.